The vast majority of Americans will never actually appear on The Price Is Right, but that doesn’t mean that we don’t think about what we’d do if we actually did get on The Price Is Right. 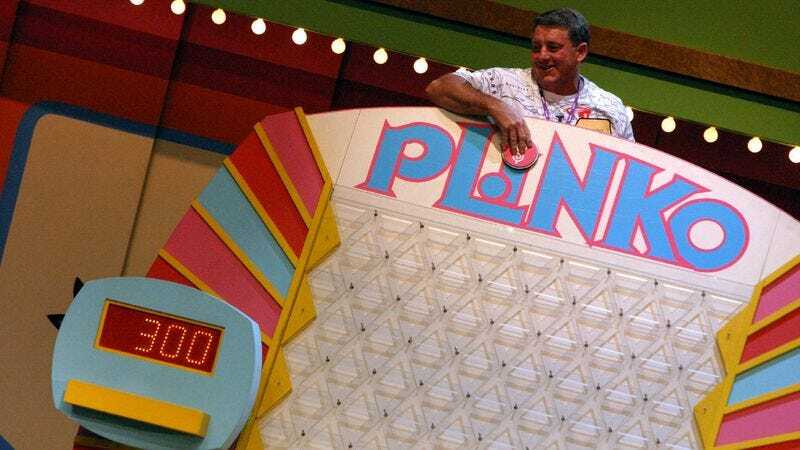 While some games—anything involving running and dining room furniture, for instance—might seem like something no one could really prepare for, apparently Plinko is a game with real skill and odds. The fine people at The Atlantic have posted a guide to the best way to play the game including, most importantly, statistical evidence on where the best place on the board is to place the chip in order to land in the $10,000 slot. According to the Journal Of The American Statistical Association, chips laid in the “E” hole on the board land in the 10k slot about 22 percent of the time, which isn’t perfect, but those odds are better than nothing. The magazine also gives tips to cheats devious enough to rig a faux-Plinko board at a church picnic, but no one would really do that, right? Right?